Fort Myers is riding a wave of tasty craft beer joints in beautiful waterfront settings in Southwest Florida. Pull up a bar stool as we teach you the best places to raise a frosty mug of beer and plan your Fort Myers brewery tour. Voted the best large brewery in Florida in the 2016 Best Florida Beer Competition, Fort Myers Brewing Company tops the list of craft beer breweries to visit while you are in town. This brewery offers a variety of beers that include the flagship Gateway Gold and the Tamiami Tan. Top your night off with a Chocolate Peanut Butter Porter that you won’t forget. The beers pair nicely with a variety of weekly events that include everything from food truck rallys to trivia nights. You want to check this brewery out because the name alone is cool, right? Once you step inside Old Soul Brewing, you’ll be impressed with a menu of beers that vary from Chai How Are You (yes, this beer is infused with chai tea) and a killer Comb Over Honey Ale. Old Soul Brewing also offers guest taps of great craft beer from around the country and music and other events to enjoy your beers with. Who doesn’t want to visit a Fort Myers brewery that has a skull logo and an option to rent a hearse on its web site? Yes, you can rent a real hearse that will arrive at your party equipped with the beer of your choice. You can also enjoy a variety of beers with skull labels in one cool bar setting. 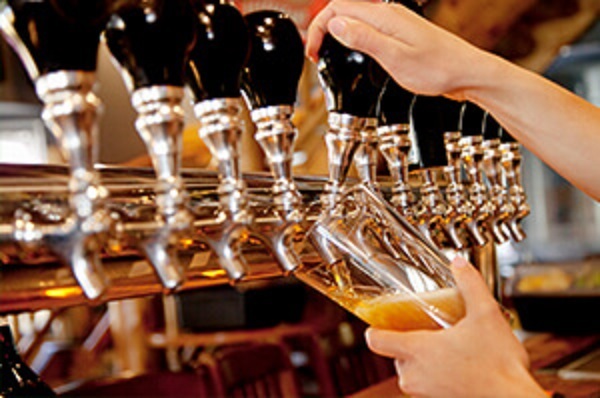 Fort Myers is home to a wonderful selection of craft beers on tap for you to enjoy. Point Ybel Brewing Company’s craft beer brewery and tap room, known as Hurricane Hole, offers delicious beers six days a week. Their tap list of beers includes cool beers like an Irish Whiskey Oak stout, Blood Orange Passion Fruit Sour ale and a Snook Bite IPA. A very popular beer and burger eatery in historic downtown Fort Myers, Ford’s Garage has 15 beers on a rotating tap and more than 150 lagers, IPAs, stouts, ales, ciders and more. The service-station themed restaurant and bar is actually licensed by For Motor Co., which means car lovers will be awestruck with the cool memorabilia and even cool cars (think classic Model A’s and Model T’s) that adorn the restaurant. Even cooler? The chain of restaurants that are popping up in Southwest Florida are an ode to Henry Ford’s winter estate in Fort Myers. Enjoy a craft beer while you peruse the six-page glossary of beer styles on the back of the menu to plan your next beer order. Just how popular is the craft beer scene in Fort Myers? Popular enough to have its own brewery tours. 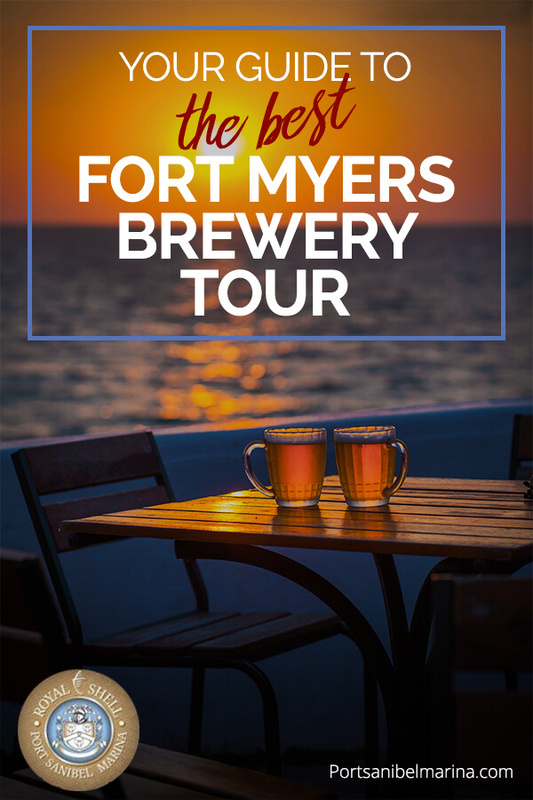 If you’re seeking to sample all of the above Fort Myers watering hole spots, take a Fort Myers brewery tour to enjoy them all. Pull up a bar stool as we help you plan a Fort Myers brewery tour you won’t forget. Are you excited about the beer scene in Fort Myers? Rent a fully furnished condominium at Royal Shell Vacation Rentals or Sundial Beach Resort & Spa to plan your vacation today. 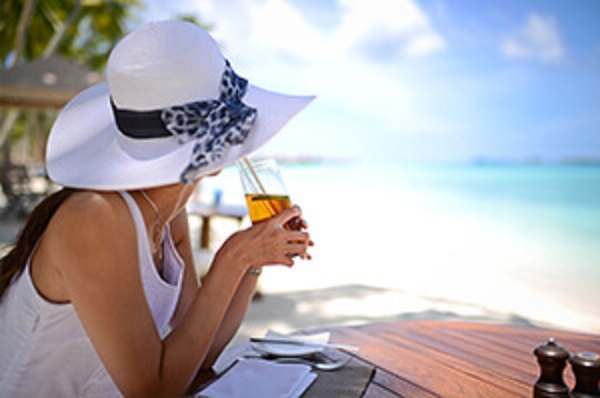 While you are here enjoying the beer scene in paradise, rent a boat and schedule a fishing charter to experience the best of what Florida has to offer. Port Sanibel Marina can handle all of your boating accommodations. Give us a call at (239) 437-1660 to plan your watersport activities today.